HECTOR AND THE SEARCH FOR HAPPINESS is sort of like getting a birthday card: the kind you don’t keep. A friend is nice enough to send you a greeting. They’re sincere and the thought counts. But the card is a Hallmark toss off, glib-treacly, or it’s one of those cute-funny cartoons (raccoon in tuxedo jumping out of a cake, yelling “you could’a fooled me!” ). You smile, say, “nice of them”–and keep the card for about three hours. Waste basket. Magically, you’re still older! Hector is a psychiatrist in London. Good professional job, knockout girlfriend. It’s not enough. He has some freak-out moments with his silly patients and decides to chuck it all and go on a no-plan-let’s-see trip around the World to find out what makes people happy. OK, Life is Empty, Let’s Travel: I’m in. Likable star—Simon Pegg, who does a good job. Interesting co-stars in Rosamund Pike, Toni Collette, Stellan Skarsgaard, Jean Reno. Some fetching location work in Shanghai, the Himalayas and South Africa. A few surprising scenes, some touching, others amusing. 114 minutes go by. As they do, you’re logging the flaws. The negative column grows. The movie got some scathing write-ups; the general take is that it’s Eat Pray Love for guys, implicit that the comparison is a slam. Postcard shallow observations, a raft of barely sketched, unlikely and unlikable characters, and thudding cultural tone-deafness undercut Hector’s ‘awakening’, with ‘Africa’ being reduced to Generic in such a clumpy way it’s almost insulting. 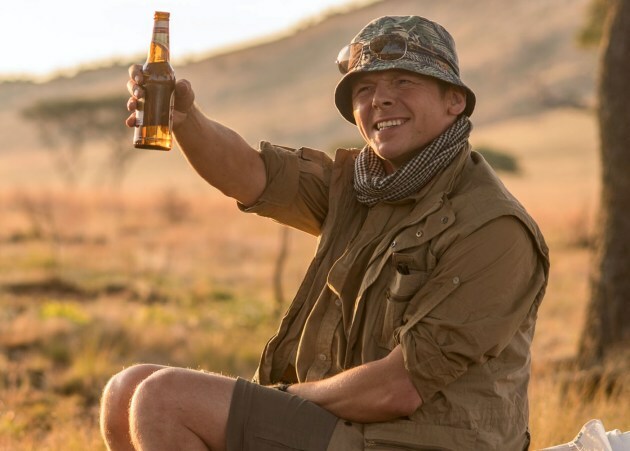 No country is specified—it’s just ‘Africa’, and it’s part hellhole, part party-time and part wildlife all co-existing in the same few square miles. Is it Mozambique? 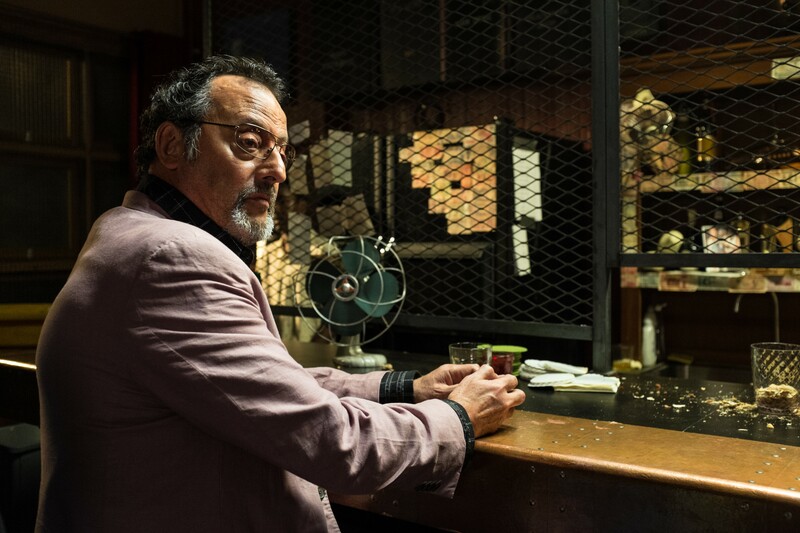 Is that why Jean Reno, playing a drug kingpin, seemingly from South America, is there, running things so totally that the local ruthless hoodlums are afraid of him? Is he Portuguese? Continuity and sense goes out the window. Gay friend? Check. Asian prostitute in disco? Check. Wise Tibetan monk with one-liners? Check. It’s supposed to be bringing insight to the character (and us) but it’s so Euro-centric and class-mired it bollixes the whole trip into a sappy “it’s all inside you”, and you’re okay, and go back to your Already Perfect Life wrap-up that has you wanting to sprint to a plane for Namibia or Samoa just to get away from bourgeoisie dreck like this. How about a Travel Movie where the lead doesn’t have a job that makes a quarter million a year, doesn’t have Rosamund Pike on hand to wake up next to? We’re sorry because he’s unhappy? I weep. Poorly directed by Peter Chelsom, from a bestselling book by Francis Lelord. It flopped. Christopher Plummer comes in a for a decent save at the end. With Veronica Ferres, Ming Zhao and Barry Atsma. The lurch for sappiness.